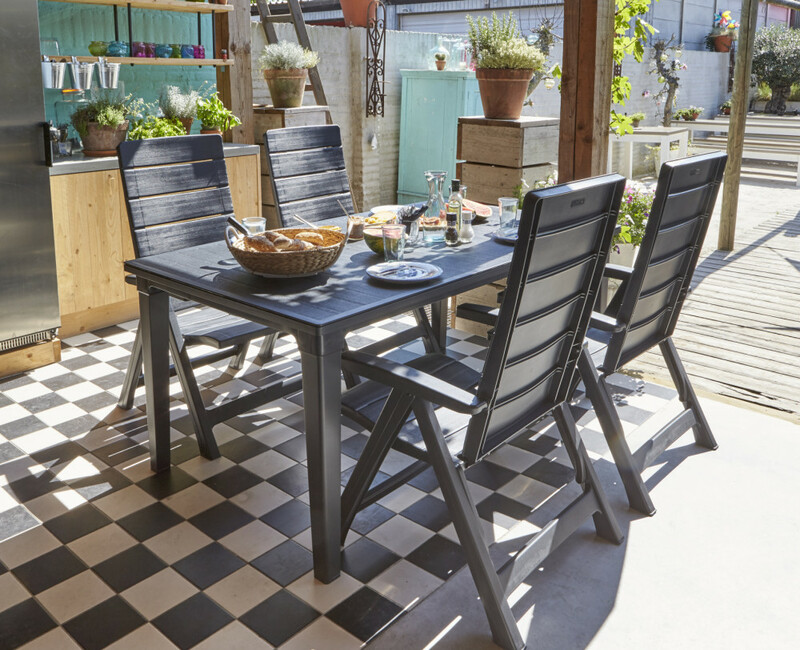 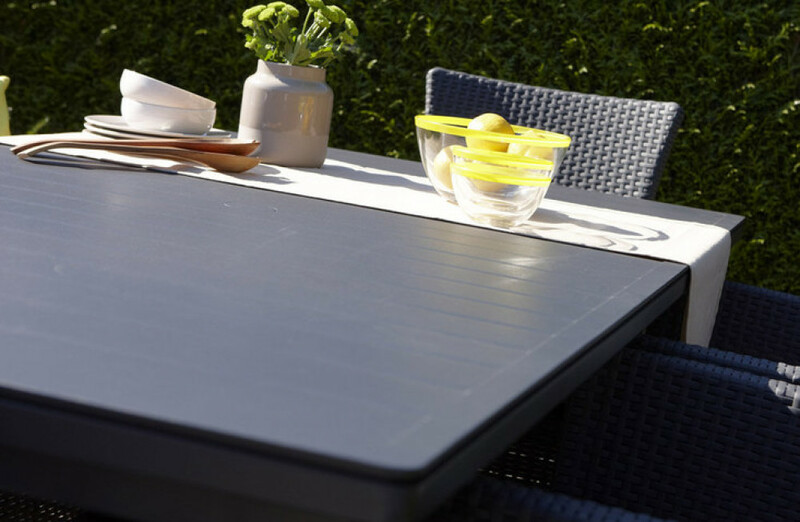 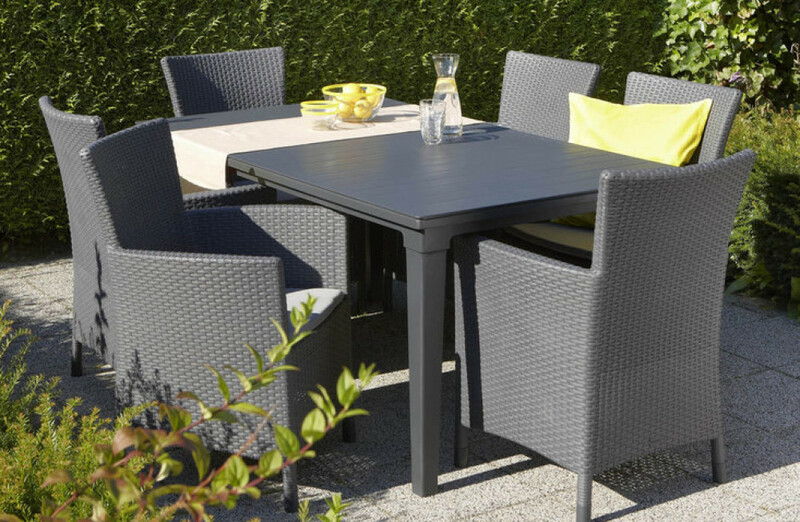 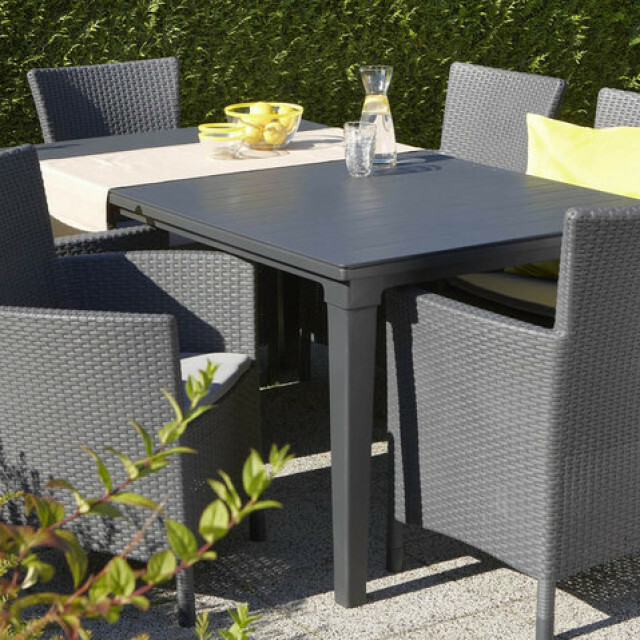 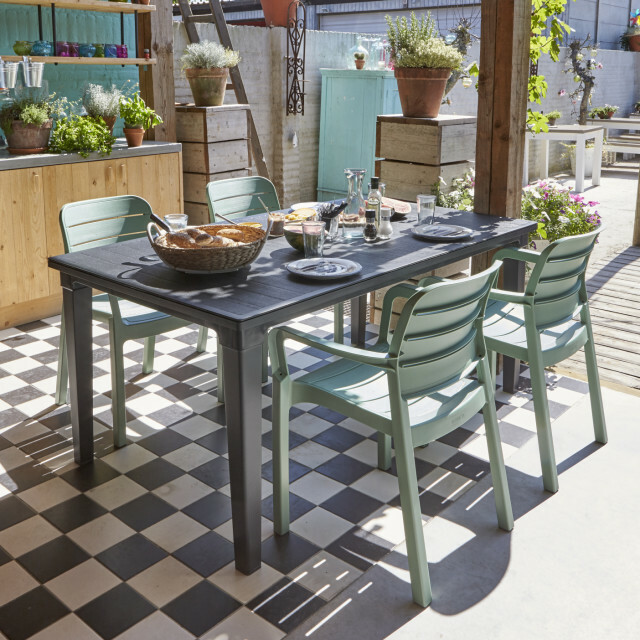 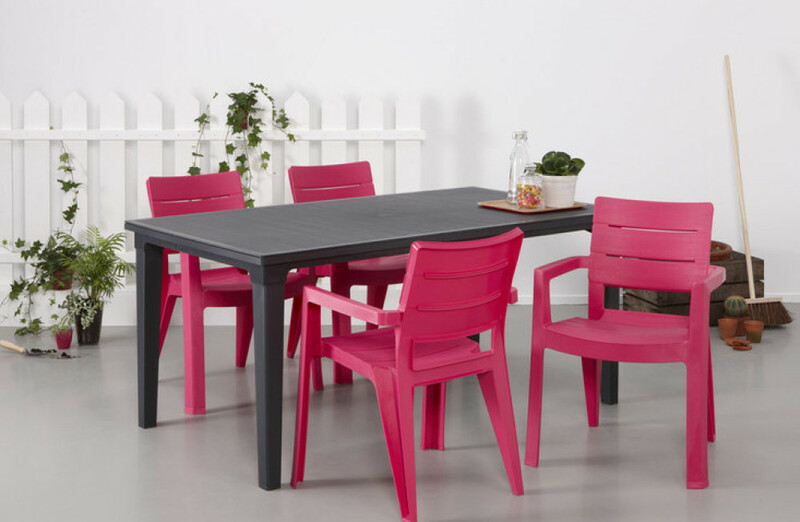 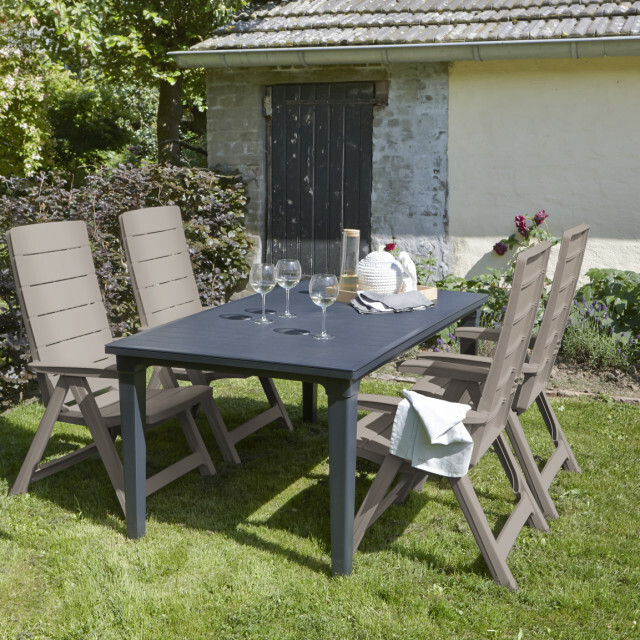 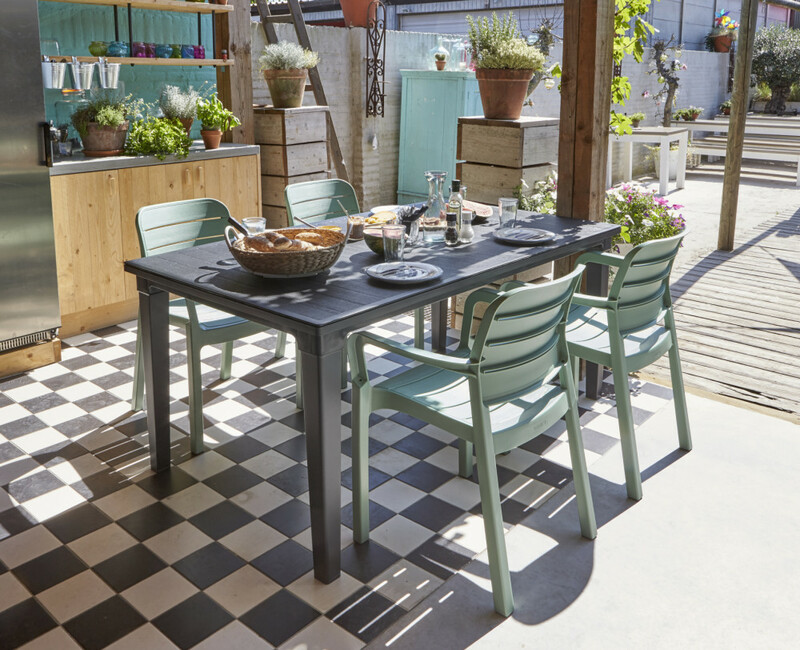 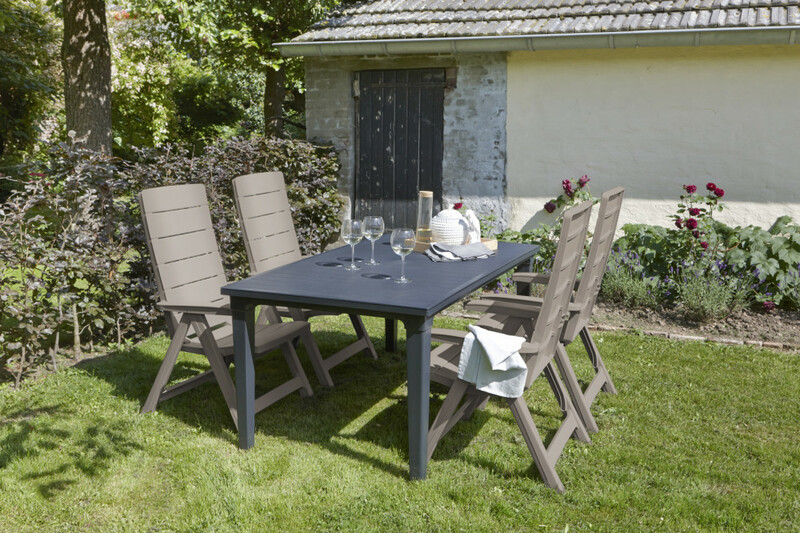 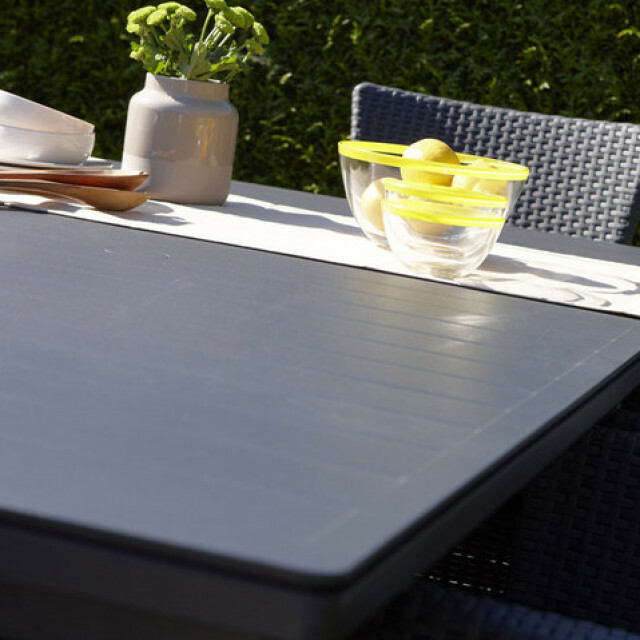 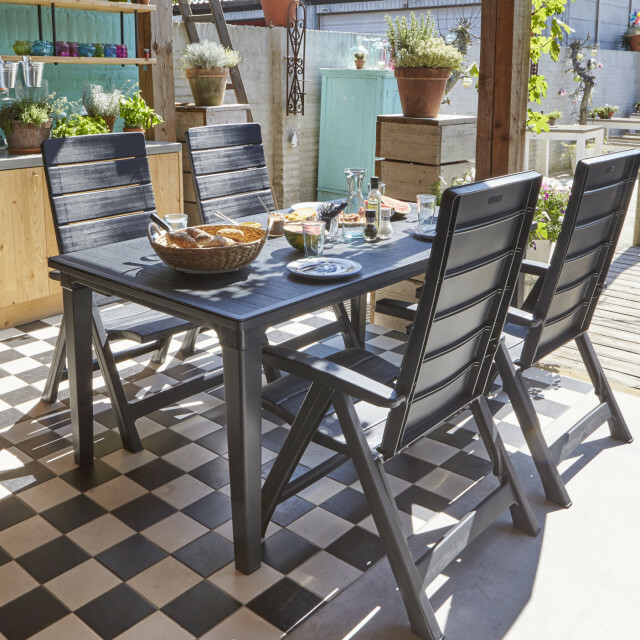 The stylish, slender design of the Futura garden table is an asset for everyone who likes to have dinner outside. 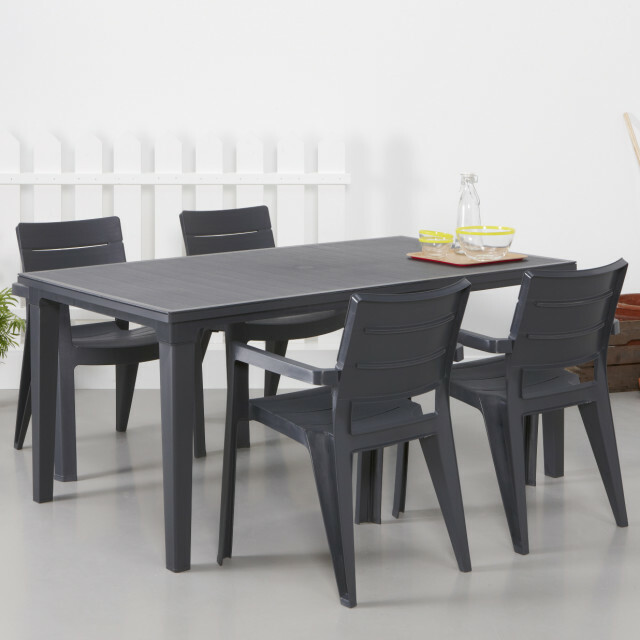 There is room enough for four to six people. 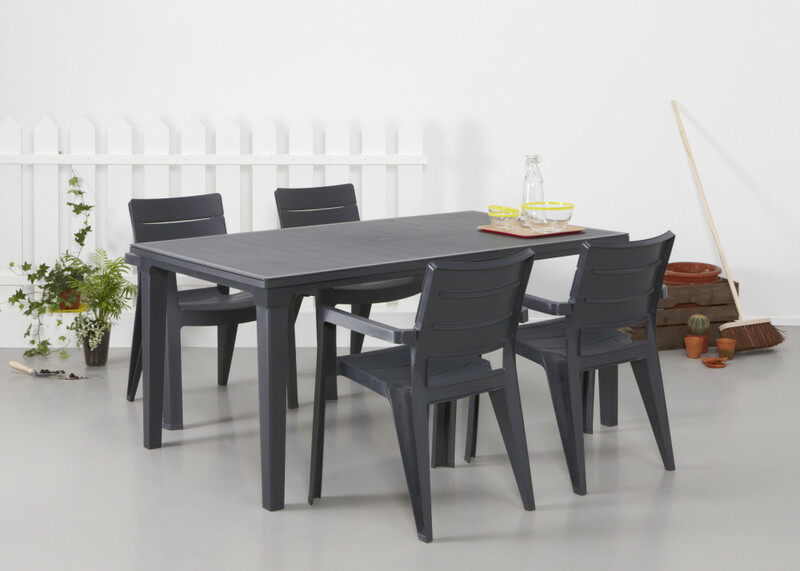 The table top has a wood look finish but is easy to maintain. 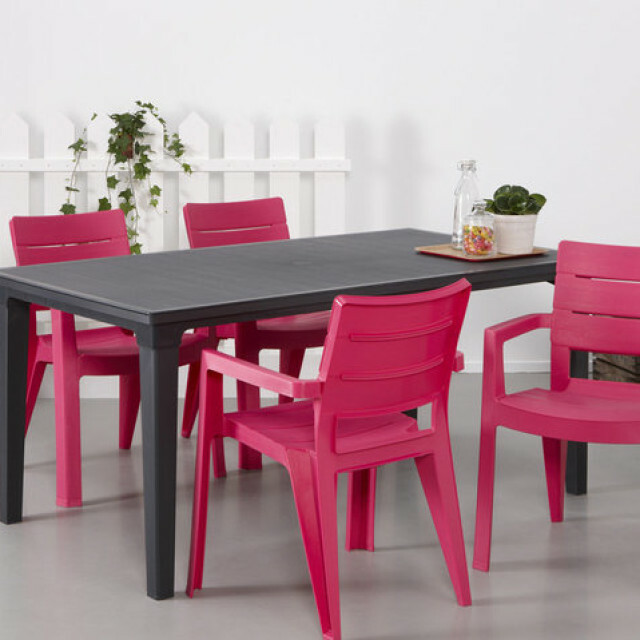 You do not need to use oil or paint. 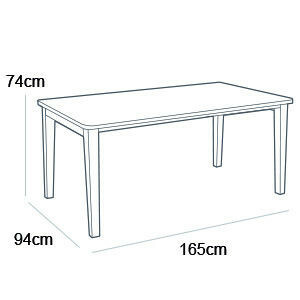 You keep this table in the best shape by cleaning it every once in a while. 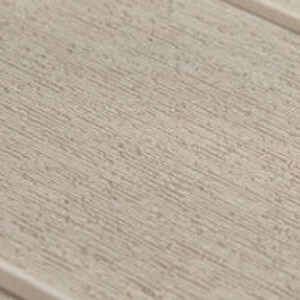 That is all.